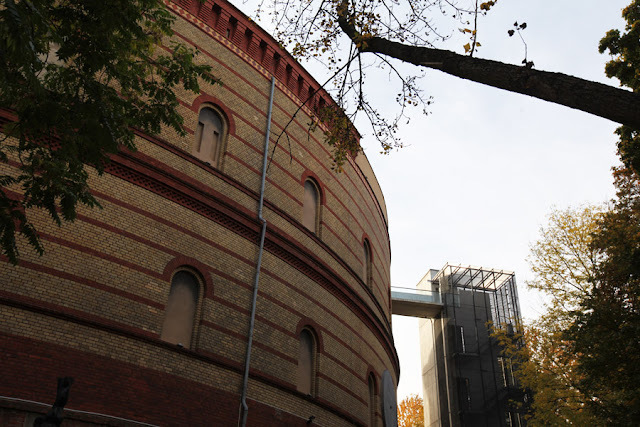 The Fichte-Bunker is a 19th century gasometer (gas was used for street lighting) in Kreuzberg, that was made into an air-raid shelter in World War II and subsequently was used as a shelter for the homeless and for refugees. 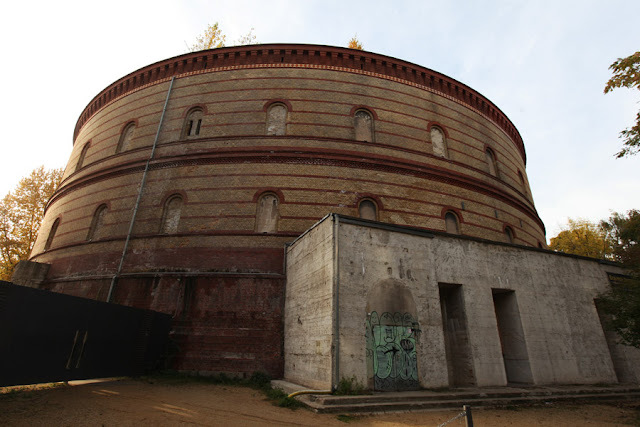 The Fichtebunker has been realized starting from a gasometer in stone , built in 1874 when Berlin was expanding and needed to feed the gas street lamps . It's a round structure 56 meters high which holds 30,000 square meters covered with gas. When then there was the passage lighting with electricity, the gasometer was abandoned until 1940. There is an important point of no return in Berlin and its citizens during the Second World War when the war expanded to bombing on the capital. The first of these attacks takes place on the night of 25 August 1940 and were bombed the area near the airport Tempelhof and Siemensstadt ( industrial area to the north west). Unexpected and unplanned, were feared and from that moment it was necessary to seek shelter with a run to the construction of air-raid bunkers and fortresses which will last until '43 . Fritz Todt (German engineer , as well as SA- Obergruppenführer) then decided to turn the structure into a bomb shelter. Made of 6 levels with the addition of interior walls and ceilings reinforced concrete often up to 3 meters, took advantage of the work of prisoners of war and Zwangsarbeiter (forced laborers). Originally designed for 6,000 people in need of protection, during the bombing of 1945 about 30,000 people were made ​​to enter . Even the local police, to prevent escapes, he transferred the prisoners in the bunker and some rooms were converted into cells. Despite the significant bombing the bunker survived the war virtually unscathed. After the war, the former gasometer was initially used as a retirement home , then as a juvenile detention center and later as a homeless shelter until 1963. During the Cold War was then used for the preservation of part of the reserve of the Senate , able to cram something like 7,000 tons of goods in the event of war with Germany. The building was forgotten again after the fall of the Berlin Wall, but then in 2000 Berliner Unterwelten began to rearrange the place and arrange tours within the structure.